Dotted around raised, beige-coloured stone graves of those fallen soldiers and fighters, are olive green, tan and white uniforms of those living, fighting soldiers. The contrast is most compelling. For every soldier the tacit protocol at Mount Herzl elicits rolled down sleeves; buttoned-up and tucked-in shirts; and hats firmly mounted on heads (as opposed to being strapped on shoulders). Yom Hazikaron is literally translated as Remembrance Day. It is a day dedicated to every official and unofficial soldier and civilian killed while protecting the land of Israel whether in action or spirit; war or terrorist attack. Like all war memorial cemeteries, being buried on Mount Herzl is a commendable tragedy. I feel extremely privileged and honoured to have experienced this juxtaposition. Living in Jerusalem, studying at Mayanot and attending the Mount Herzl Yom Hazikaron ceremony I felt, and still feel, extremely connected to Israel and Am Yisroel. Our day began with a 5km walk from Katamon to Mount Herzl with our Director Rabbi Meir Levinger directing the way at the front of the pack and our Assistant-Director Rivka Marga Gestetner pushing us forward from the back. The feat of staying together presented quite challenging once we arrived at Mount Herzl but thanks to some flower-patterned shirts, Rabbi Levinger’s hat and some hashkocha protis (Divine intervention) we all managed to stick together amongst the masses while weaving our way up hills, down stairs and jumping walls. Our first stop was the kever (grave) of Rabbi Levinger’s great uncle Yosef Tzvi Straus who was only 17 when he ‘illegally’ enlisted to fight in the War of Independence. In his 17 short years Yosef survived the Holocaust; joined the “Escape Path” and “Agudat Israel”; withstood a British seize while on the “Latrun” ship; was sent to Cyprus; and immigrated to Israel, all the while studying and living Torah. 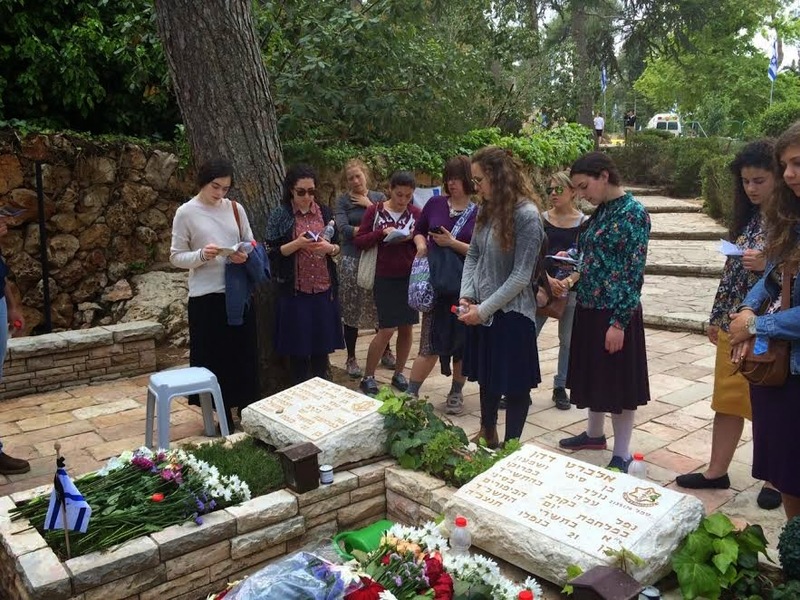 Leaving no descendants, Rabbi Levinger makes it his ritual to visit his uncle’s kever at least once a year, specifically on Yom Hazikaron with the women from Mayanot, and to say Kaddish. Reaching Yosef‘s kever with only minutes to spare, we all stood in silence for the three-minute commemoration siren (sounded at 11:00am) where most of us recited tehillim (psalms). At his kever, we were all given a piece of paper recounting Yosef’s story, together with his picture. When I looked down at the paper and began reading Yosef’s story my heart skipped a beat. 24 Kislev 1930. It hit me that Yosef and I share a birthday. Blast 1. Blast 2. Blast 3. The eerie silence between each blast made the reloading of the gun even more piercing. The service concluded with Hatikvah – the Jewish National Anthem. It was a very honourable moment for me, which I consciously tried to absorb while knowing that all too soon it would be over. Afterwards Rivka Marga read us a heart-wrenching letter written by Gadi Ezra to his fiancé before he fell in battle during “Operation Defensive Shield”. Gadi’s shear trust in G-d and love for his wife-to-be was beyond inspiring. Gadi’s letter set the tone for the day: for appreciating the immensity and immeasurability of the loss of life; and the loss of life for the advancement of life. Thereafter Rivka Marga led us to some specific memorial sites including the paratroopers’ section (where Chanah Senesh is buried), the ship memorial monument, the Old City of Jerusalem bridge and the wall commemorating the 200 000 Jewish soldiers who fought in foreign armies. We ended off at the kever of Yehuda Pekula who was the brother of a friend of the Gestetners and Mayanot. 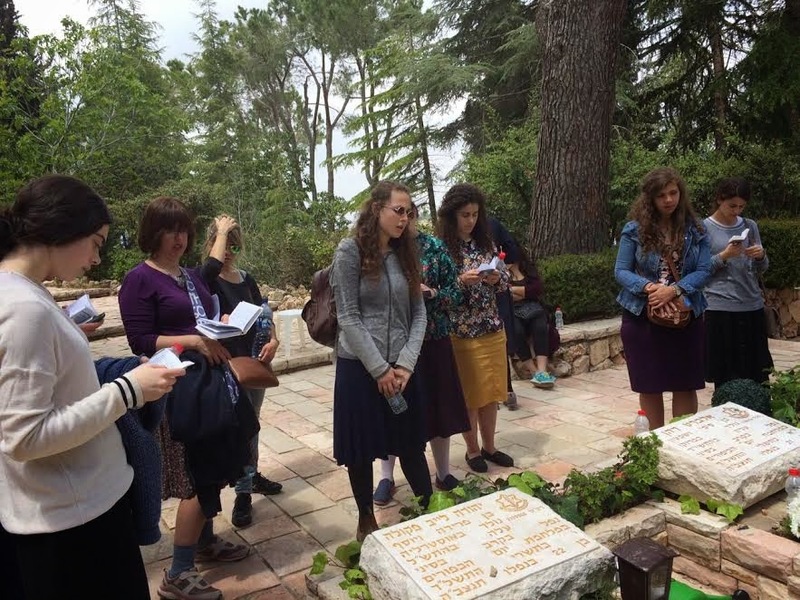 There Rivka Marga read us a heartfelt letter/blog written by Yehuda’s sister Shyrla Werdiger. It was a balanced mix of sadness, sarcasm, cynicism, hope and love . We recited some tehillim and ritualistically washed our hands, as is the custom upon leaving a cemetery. One of my Rabbi’s 5-year-old sons once asked his father “How can we remember them if we didn’t know them?”. A profound question indeed. For those of us not fortunate enough to know those fallen souls we remember their values, courage and love – for Israel and for Israel’s children. But also, we do a different kind of remembering. We take action. We do something different. We change. We become better people. We inspire. We motivate. We do everything in our power lest the precious souls should have fallen in vain, lest Israel ceases to exist. May their precious souls be a blessing. Amain.